Stoneware bottle vase. Height 7". Matt white over iron glaze. The pinholing is typical of this glaze combination. Also made in two parts. The neck is squeezed while still soft to produce the undulating rim. 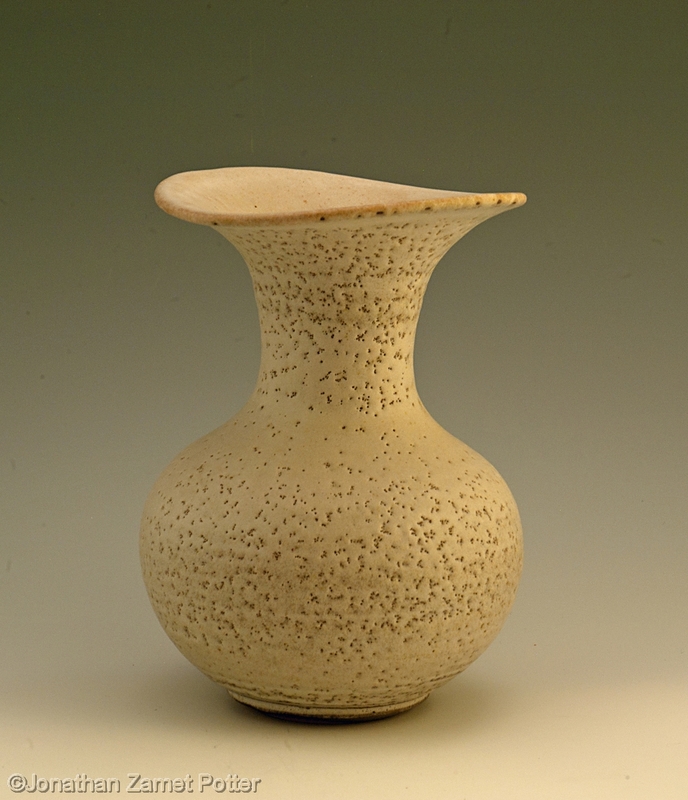 Inspiration: Lucie Rie.